This was the type of love that upended trees whose roots had seen centuries come and go. That blew away mountains like specks of dust. This was the love that taught you to love: yourself first before any other. This was the love that taught you how to heal, long before it broke you. 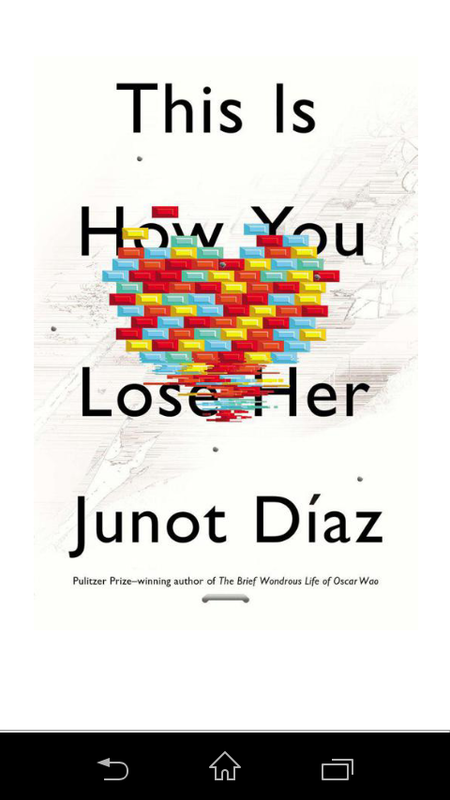 Today I finished reading Junot Diaz’s This is how you lose her, not particularly mind blowing but interesting all the same. I love the book. The ease with which the story flows mindless of the emotions being provoked; I love easy books. It was an easy, interesting short read. Disclaimer: There are spoilers involved, do read at your own enlightened risk. The story is about Yunior, a young Dominican man and a serial cheater going through different experiences in life. Chronicling his family’s move to America, his relationship with his father, his brother’s death(spoiler), his relationship with women and all the ways he lost most of his significant others. This isn’t really a review. I’d just like to let you know that I finished reading this book, and because I enjoyed Diaz’s work I went on to get The brief wondrous life of Oscar Wao by (guess who?) Junot Diaz. I’ll let you know how that goes too. I discovered This is how you lose her by religiously following Magunga’s story series based on his life but inspired by the book. 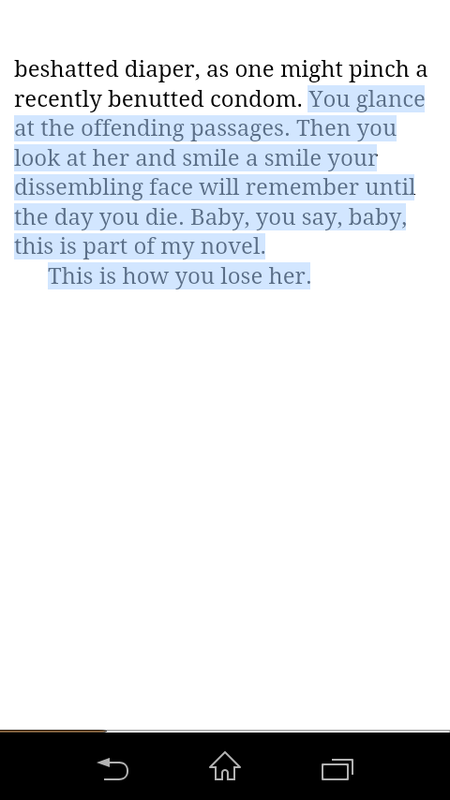 He titled it This is how else you lose her. I recommend both reads to you. Due to my love for Magunga’s love tale, I went on and read and loved Diaz’s tale. I love streaks like these. Hopefully Oscar Wao doesn’t let me down. Moral of the story: Don’t cheat on your S.O’s, it never ends well. We are slowly driving on the road on a dark rainy night. The best I can tell of our location is Lekki phase 1 because one toll gate has been passed through. Memorizing roads and directions isn’t my thing, unless of course I utilise said roads and directions on a daily basis. There are four of us in the car: The driver, My friend’s mom, my friend and I. The car is quiet after moments of random talk about the rain and whatnot. I haven’t eaten all day, and my stomach has gotten to the stage of being numb – it’s too tired to keep complaining- but my body is weak because really I haven’t eaten all day and it’s 9:27pm. The night lights on the road give an interesting look to it all. The sudden burst of orange in almost pitch black, save for the break lights on hundred of cars ahead of us and behind us. It’s a slow drag on the road with the continuous pelt of raindrops on the car. Then there is a noise, an almost scream and the sound of glass breaking. We all turn to a blur of a hand pulling something back in a car, and a figure sprinting away from the car. The best way I can describe the car is it’s a really nice car without plate numbers. A lady sits at the driver seat of the car with a broken passenger seat window, leaning on the passenger seat looking too stunned to do anything else. The driver tells us it was a thief that just attacked her, he says this quite proudly. Happy at the fact that he’s the one that understands how these things happen, and he gets a chance to let us know about this. Apparently, two guys walked towards her car on both sides with the pretense of cleaning her windows for bara, until they had gained a good view of the contents of her car. Thief 1 on the driver’s side then shatters the driver’s window distracting the lady from thief 2 shattering her passenger window to grab her handbag and phone from her passenger seat. She reacts just in time to retrieve her phone but couldn’t save her bag, as they both run off. Not everyone is aware of what just happened, but those close enough to see are stunned at the swiftness of the heist and how it happened in our korokoro bare eyes. The lady sits leaning on the passenger for about five seconds before it registers that the cars ahead of her have moved, and she had cars behind her waiting for her to do the same. She drives forward, and keeps dragging the rest of the way with us. It sparks a conversation of pity for the young lady, anger at the thieves and disappointment at the other drivers for not running one of the thieves over. In all our ramblings we can’t accurately express what she feels at that moment but my guess is she’s still in shock because, what she just experienced was too big for her to process at that moment while moving in slow traffic on this Lekki road underneath the pouring rain. Some other drivers chat her up, try to sympathize. At the end of the day, no matter what anyone says at that point she’s still just a young lady driving alone in a really nice car with two broken windows and the clueless rain pouring into her new upholstery, handbag-less and still very much in shock. We drive on, because we can’t not. I apologize, deeply. My absence from here has been too glaring. I didn’t forget about my blog, life didn’t take over and distract me from writing. On the contrary, daily I’d come on and read blog posts, and try and fail to produce a story. The stories somehow have managed to run dry, like a river in drought. Moreso, the urgency with which I once wrote is no longer as urgent. Writing has become a thing of complacence for me and I wonder why, not really. I understand why. I wrote to overcome a really tough time in my life. A time of heartbreak, life changes, separation and readjustment. Writing was an escape and a fix from/for all that. That’s the reason I feel I’ve been failing at it, because it was a remedy for a sad time. I realize, I can’t write as a remedy if there is nothing to be remedied. Truthfully, this is a happy time for me. So, it makes no sense for me to write to escape when in all reality I should revel in these moments. I’m trying to write to reflect happiness, and joy and blinding light. But I’m learning to do so, and learning takes it’s toll and time. The stories come in stutters and hiccups now, but in due course maybe we’ll experience a surging river of beautiful magic. Hang on for me, my stint as a “writer” isn’t quite over yet.